We empower children and youth by connecting families with opportunities to build hope for lifelong change and break the cycle of poverty. In 2018 we are ready to do more. For children in our community, opportunity should outshine hardship every time. Together with our supporters, we want children to believe in limitless possibilities, establish healthy habits, learn skills to empower them for the future, and provide them the opportunities to be happy. Let’s dream new dreams. We will not only dream them, together, we can inspire children and youth to pursue them. We are looking for someone who is in love with our new mission and driven to help ensure we have the resources to achieve it. Reporting to the Executive Director, the Events Manager plays a crucial role in leading the organization of our fundraising events. Currently, our internal and third party events generate over $600,000 in revenue for the Children’s Foundation and are a core relationship building activity. This role requires superior organizational, interpersonal and problem solving skills as well as creativity. You have proven success meeting event revenue goals by using innovative fundraising techniques and Donor Love to establish and build long-lasting sponsor and donor relationships. You motivate and guide effective teams of volunteers and colleagues toward a common vision where not only goals are met, but everyone feels respected and a part of the success. You thrive in a fast-paced role where you balance multiple priorities. Manage the development and implementation of engaging fundraising events that will achieve revenue goals while building relationships with donors. Organize critical paths and timelines for event execution and work in conjunction with the events’ committees and other staff to complete all deliverables; adjust plan and manage contingency efforts and resources as required. Develop an overall sponsorship strategy and implement to ensure successful recruitment, stewardship and recognition of all event sponsors. Proactively identify new ways to improve the event experience and achieve best practices for event coordination. Create and manage online point of sale ticketing, donation and peer-to-peer fundraising pages in DonorPerfect. Manage the promotion of events via marketing materials, the Children’s Foundation website, press releases, advertising and social media. Integrate engaging mission messaging with a focus on Donor Love within all event communications. Provide the Outreach Coordinator with details on volunteer needs for event planning and day of activities to ensure successful volunteer recruitment, orientation and recognition. Maintain detailed records of event details, including donor information in DonorPerfect. Support third party event organizers, ensuring they have the tools needed for a successful event and are recognized following the event. Create and manage event budgets. Minimum 2 years experience in fundraising event planning. Post-secondary education. Emphasis in fund development, communications, marketing or public relations is an asset. Superior interpersonal skills with a commitment to working cooperatively in a team environment with staff, volunteers, donors, and the public. Strong technological skills including MS Office, graphic design, website and newsletter design, online event ticketing and donation systems, and social media. Ability to multi-task, prioritize and organize with an attention to detail and a standard of excellence. Proven success in donor/sponsor prospecting and solicitation. Ability to communicate messages in a professional and engaging donor-centered manner designed to convey emotion and compel action. Knowledge of, and a passion for, staying up-to-date on current trends in giving and fundraising events. Previous experience using DonorPerfect or similar online fundraising software is an asset. Self-assured and confident, persistent and focused. Ability to achieve a work-life balance that accommodates the realities of working in a non-profit organization. Full Time. Flexibility is required as this position requires several evening and weekend meetings and events. May work a flexible schedule to accommodate these activities outside of our regular office hours as long as 37.5 hours are worked in a week. Valid driver’s license and reliable automobile a must. Obtain a Police Record Check/Vulnerable Sector Screening Check. Starting salary to be negotiated. 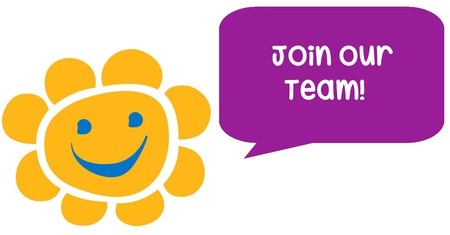 The Children’s Foundation wishes to maintain a work environment that fosters personal and professional growth for all employees and therefore compensation includes a comprehensive benefits package, training and development opportunities and a flexible and supportive work environment to accommodate personal and family commitments. All applications must be submitted through CharityVillage.com to the attention of Glenna Banda, Executive Director. Applications will be accepted on a rolling basis until the position is filled. The Children’s Foundation of Guelph and Wellington is an equal opportunity employer. We are committed to an inclusive, equitable and accessible workplace. If you have been contacted for an interview and require an accommodation due to disability to participate in the recruitment and selection process, please advise and we will work with you to meet your needs. We thank all applicants for your interest in this position. Only those selected for an interview will be contacted. No phone calls please.